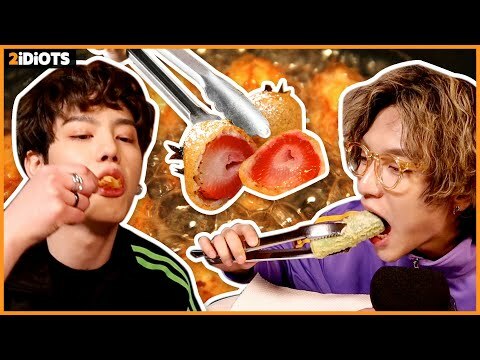 [ENG SUB] 2idiots – TRY TO FRY EVERYTHING they can! How does Fried Strawberry taste like?! Hi guys! We are 2idiots!! So today~~~~ we will try to DEEP FRY everything that we can!